A labour of love, which involved working directly with the documentary producers, Hatchling Productions. This created the opportunity for Elastic Wit Studios to introduce advanced behavioural design features and viewer interactivity not usually applied to a standard DVD title. But then Spike Milligan, the man, could never have been described as ‘standard’. The DVD experience was developed to create viewer intrigue and to ensure continued interest over time. In addition to the creation of multiple, random menu sequences, the team gave viewers the ability to control optional breakouts from the main documentary story line. 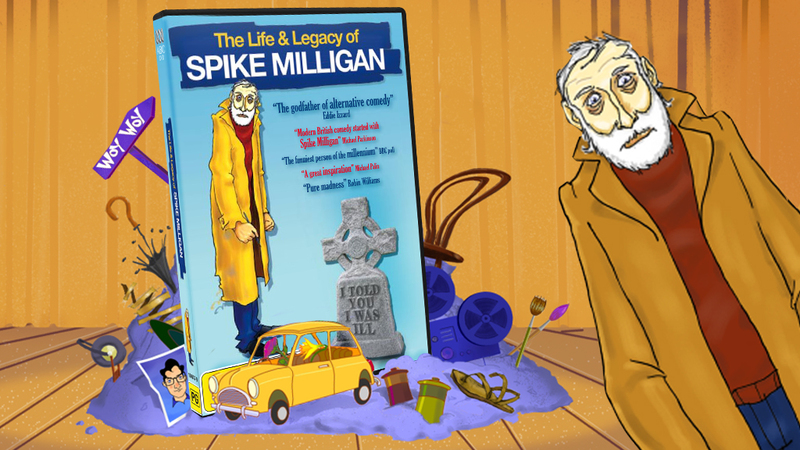 The appearance of an animated Spike Milligan on screen, notifies viewers of the opportunity to see more footage about the specific content currently playing. “Creating ‘diggy Spike’ involved the use of very advanced design techniques. A long way from simple, but definitely worth the time and effort.” - Jim Hare, Elastic Wit Studios. The project was a collaborative effort, which brought Elastic Wit Studios together with Hatchling Productions, Evolve Media and Rapt Animation. The title saw Australian, US and UK releases with distribution by the ABC and Village Roadshow.